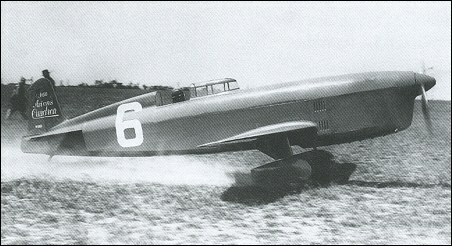 The photo above does depict the C.460 racer. This is the configuration in which it was flown while they were still sorting out the retractable landing gear and mechanical issues forced them to fly with the gear down. It was later flown with the wheels tucked away. The C.450 had much larger wheel fairings. @ austin jones: You're right, I think it's a C362 or C366 or C450/. When I was a youngster I lived in Cleveland Ohio and recall seeing the airplane in one of the races in the mid to late thirties and recall that a version was made into a French Fighter. This aircraft is a racing aircraft. One of the most stunning racing aircraft. The picture above is not the 460 in the link below i will show you what the C460 looks like. If this website needs a pic send me a message. WAS THIS A FIGHTER AIRCRAFT OR A RACING AIRCRAFT?